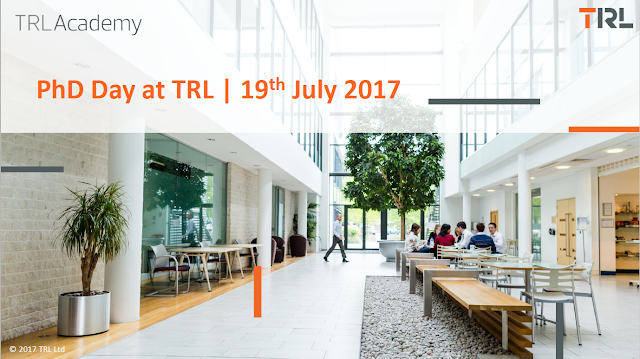 Today I want to share with you the fantastic experience that I had a couple of weeks ago at TRL (https://trl.co.uk/) for the PhD Day 2017 (19th July 2017). The event was meant to bring together PhD students that collaborate with TRL in their projects, giving them the opportunity to meet, and share their experience and ideas. It was the first edition of the event and it was my pleasure and honour to be part of it, having the possibility to introduce my research and experience with other PhD students.